Jim and Jane (Hasenkamp) Henry, members of Sts. 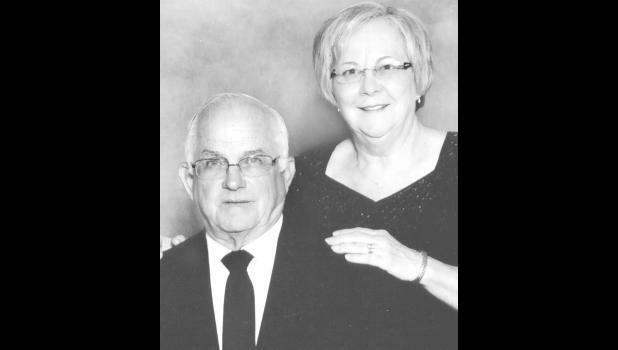 Peter and Paul Perish of Seneca, will celebrate their 50th wedding anniversary on May 3, 2015. The couple was married on May 8, 1965 at St. Patrick’s Catholic Church in Corning. They will celebrate with their four children, Shelly Haverkamp and her husband, Loren, and Brent Henry and his wife, Norma Jean, all of Holton, Corey Henry and his wife, Lori, of Hiawatha and Ryan Henry and his wife, Sarah, of Seneca. They have 11 grandchildren and two great-grandchildren. There will be an open house from 1:30 p.m. to 3 p.m. on May 3 at the Knights of Columbus Hall in Seneca. No gifts, please. Cards may reach them at 102 S. Third, Seneca, KS 66538. Jim retired from Henry Brothers Implement as a parts manager after 44 years. Jane retired after 37 years in central supply at Nemaha Valley Community Hospital.